The City of Hobart will warmly welcome a delegation from its sister city of 41 years – Yaizu in Japan. The Mayor of Yaizu, Mr Hiromichi Nakano will be visiting along with the highly reputable Yurikamome Children’s Choir. 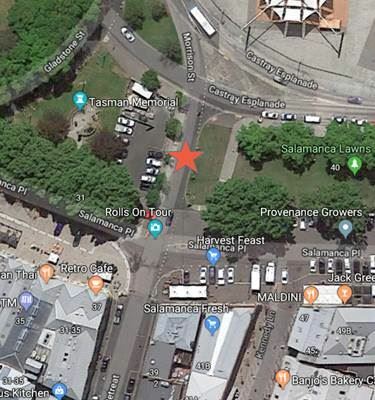 1) Saturday 18 August, 12.30-1.00pm, Salamanca Market (near to the City of Hobart Information Booth – see red star on map below). The Lord Mayor, Alderman Ron Christie will be introducing the choir to the audience for this short performance (weather permitting). 2) Monday 20 August, 3.15 – 5.15pm, Hobart Town Hall Ballroom, 50 Macquarie Street (see flyer below). 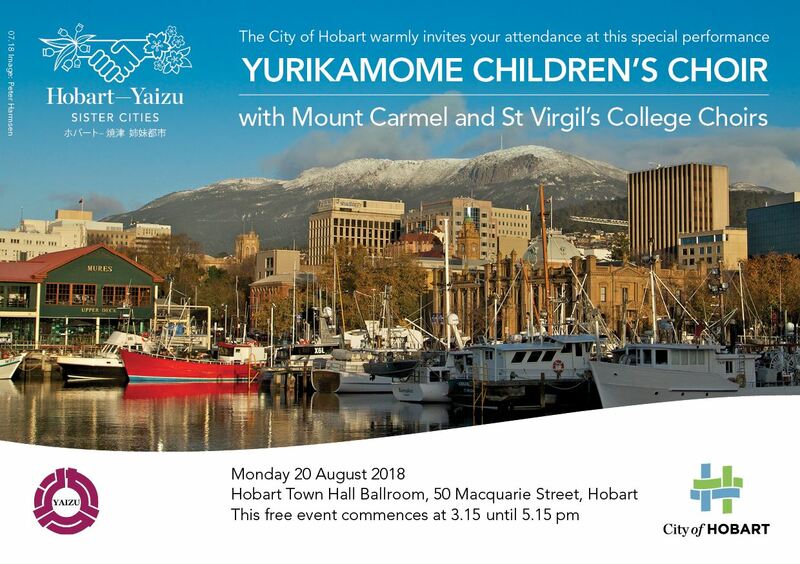 Given the close relationships between many schools in Yaizu and Greater Hobart through student exchanges and homestays, Mount Carmel College and St Virgil’s College choirs will be performing alongside the Yurikamome Choir. Both events are free, and no RSVPs are required.